Joaquín “El Chapo” Guzmán, the drug lord who famously escaped a Mexican prison in July 2015, has been extradited to the United States and will stand trial in Brooklyn, N.Y., on drug-trafficking and murder conspiracy charges, the U.S. Department of Justice said in a statement. The Los Angeles Times reports that a U.S. official confirmed a report by the Mexican government that it was sending Guzmán to face federal charges. According to the Justice Department statement, Guzmán is charged in six separate indictments throughout the United States. Federal prosecutors in Brooklyn revised one indictment to drop charges that would have made the drug lord eligible for the death penalty, which the Times reports was a sticking point in negotiations between the U.S. and Mexico. 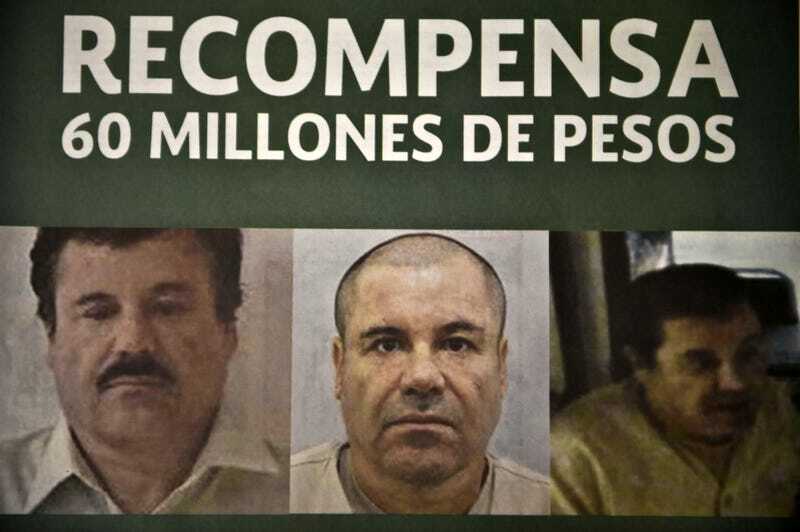 El Chapo heads the Sinoloa drug cartel and has been called the world’s wealthiest and most powerful drug trafficker. In 2001 he escaped a high-security Mexican prison reportedly by bribing staff members and managed to successfully run and expand his drug business as a fugitive for 13 years before being captured again in 2014. In July 2015 he escaped again, this time from the supposedly “escape-proof” Altiplano prison, outside Mexico City. He was recaptured in January 2016 and returned to Altiplano, where he remained until May, when he was transferred to another maximum-security prison, Federal Social Readaptation Center No. 9, in the border city of Juárez. Over-under on how long he escapes U.S. custody?